Republican party leader and person with no experience of politics ,Donald Trump is finally taking oath of 45th president of The America today. It's rarely seen someone taking oath of President of superpower nation United states and facing protest against president. Anti trump leader, personalities and people are protesting in front of Trump Tower. But after all protest and controversies Mr. President Donald Trump will become 45th president of The united states. India will be keen to see how trump will work with India and his views and strategies against Pakistan and China. - Navtez Sarna - India. There will be several representatives of Different countries and personalise from all over the world. There will be two or three performances of Indian Bollywood stars and this is first time in history that any Indian will perform in Oath ceremony of United states president. There will be 7 minutes programme of Indian stars and 5 Bollywood songs will be performed during ceremony. These songs are Jumme ki raat , Kala chashma , Malhari, Jai ho and tamil song Top Lesi Podi. Bollywood star Mika singh and former miss India Manasvi Mamgai will perform in ceremony. Mika singh thanked Mr. President and remember Manasvi was also present in 'Thank You Rally's of Donald Trump after he was elected as president of The united states. Before Oath ceremony of new president of America Donald trump will go to Church near Washington Capitol and than he will go to meet Obama and Michelle Obama. He will have coffee with Barack Obama.Than on the capitol stairs Trump will oath as 45th president The united states by chief justice of United states. Around 20-30000 army man are around oath ceremony stage and Trump will oath with two Bible in which one is with which Abraham Lincoln took his oath. Donald Trump Good or Bad for India ? Mr. President Donald trump and his views on different issues are unknown as he is Owner of a real estate company. 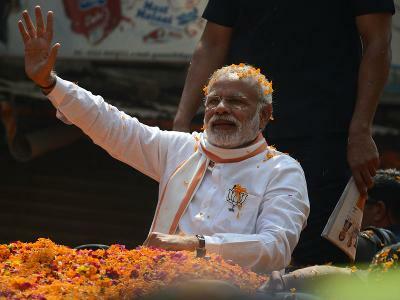 His relation with India will be seen later but from his election speeches some points are clear that he likes Leadership of Narendra Modi and it can be understand from the moment when he said 'Abki Baar Trump Sarkaar' during election campaign. Trump will be good or bad for India , this will be seen in future but some points are given below. How Trump can benefit India? * H1 - B Visa : Trump had said earlier in his campaign that he will strict rules of H1- B Visa but for India he said he want Indian businessman , worker and students in America. So in case of H1-B visa trump can benefit India. * Trade and Tourism : As many times Donald had praised leadership of Indian Prime minister Narendra Modi , So trump can help India in 'Make in India' of Narendra Modi. 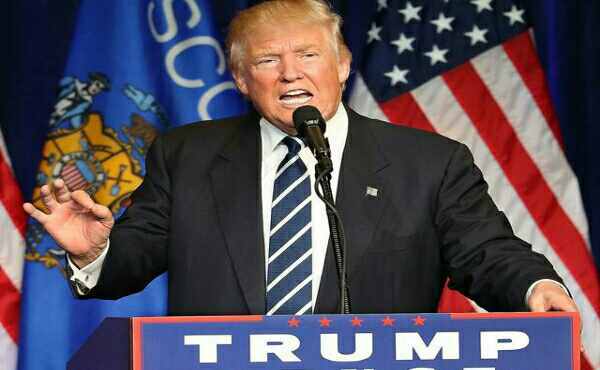 * Terrorism : Against terrorism Donald Trump showed serious anger and strict views. He said during his election campaign that he want to destroy Islamic terrorism. India is continuously talking on terrorism on different forums , so India will keen to know how trump react on terrorism . * Relations : Trump can be a key man in relation with India as he have criticises Pakistan for terrorism and called China as currency manipulator. He have criticised China and Pakistan throughout his campaign. India stands to loose ? - With good relation with Russia , trump can make his good relation with China. That can harm India as China is continuously working against India. - If he strict rules H1-B visa as he said in his election campaign and if he don't benefit India than Indians may loose jobs and business in America. - He promises to reduce corporate taxes from 35% to 15% , if that happens many US Companies will shift from India to United states. - Trump believes that world is robbing Jobs of United states, and want to close this trade if he implement his rules it can impact India. Time will tell , trump will affect or effect India but now Mr.President Donald Trump will be 45th president of The united states. According to United states on 11:30 am Donald trump will take oath as president of United states. Health minister of Haryana and senior leader of BJP is always in highlights everytime because of his statements. This time also he said something which going to effect him as well BJP. Anij vij commented on Father of national Mahatma Gandhi this time. He was saying on decision of Narendra modi in place of Mahatma Gandhi. What is statement of Anil Vij? Anil Vij is member of legislative assembly of Haryana and he is MLA from Ambala seat. Most of time he is Controversy because of his comment and Tweets. 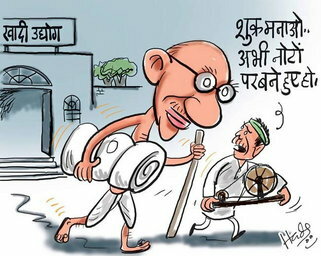 - From the day name of Gandhi linked with Khadi industry , industry couldn't progress. 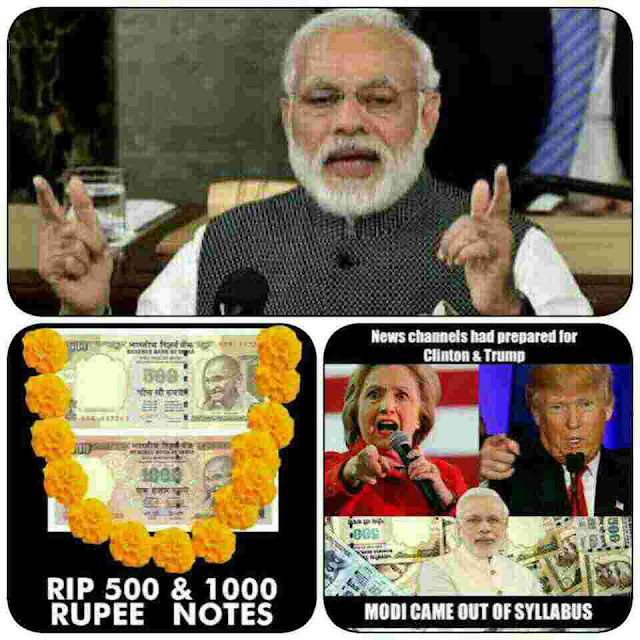 - He also said that Gandhi is name like , from the day his photo printed on Rupees notes , devaluation of notes started. - Vij said name of Gandhi is not patent for Khadi and slowly slowly his picture will also disappear from Rupee note. - From the day Modi linked with Khadi , sale had been increased up to 14 percent. Just after statement of Haryana health minister , Chief minister of Haryana Manohar Lal Khattar gave statement and said Anil Vij is senior leader of state , and he speaks wisely. Sometimes some statements are personal and this is his personal statement , government of Haryana have no link with his statement and they condemn this statement. - Khattar said Khadi is just because of Gandhi and Narendra modi took initiative to progress Khadi. BJP national secretary and Spokesman Shrikant sharma condemned statement of Anil Vij strongly and said it's not stand of their party. After issue became more , Anil Vij also gave his statement and said this is his personal view and he took his statement back and this was not to hurt somebody's feelings. After statement of Anil vij Controversy is becoming a point for other political parties, some political leaders attacked BJP and Anil Vij. Congress Party leader and spokesman Randeep singh surjewala said that People can expect this only from BJP and BJP leaders. RJD supremo Lalu Prasad Yadav said on this statement that these are bad sons and this statement is very unfortunate. Communist party leader Vrinda Karat said this kind of mentality killed Mahatma Gandhi , and we need to make country modi free. What is this whole issue of Gandhi ji? - In 2017, wall calendar and diary of Khadi village industries commission , Gandhi ji's photo was replaced by Prime minister Narendra modi. - In recent years Gandhi ji photo is printed every year . Rahul Gandhi said on this replacement of photo as Mangalyan effect. Mamta Benergee said Mahatma Gandhi is father of Nation and what is modi in front of him. 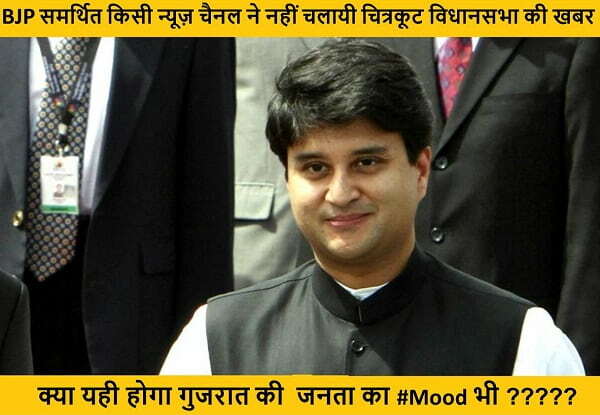 Tushaar Gandhi, great-grandson of Mahatma Gandhi said Modi use Gandhi for his image. PMO replied on this issue and said this is not first time that picture had been replaced , in year 1996, 2002, 2005, 2011, 2012, 2013 and 2016 material of Khadi industry had been changed. This is different thing to replace picture of Gandhi ji with Narendra modi but statement of senior leader of Anil Vij is really very sad and unfortunate. Punjab politics is at top level , and today an interesting phase came in Punjab election 2017 when Vice - Chief minister of Delhi Manish Sisodia said in a public rally in Mohali that Vote on the name of Arvind Kejriwal. He asked people of Punjab to vote by assuming Arvind kejriwal as Chief minister candidate of Aam Aadmi Party in coming elections in Punjab - 2017. But interesting thing is when Arvind kejriwal said in past that he will stay for 5 years in Delhi only. So what will be of promise of Arvind Kejriwal which he did with People of Delhi. Manish Sisodia, vice-chief minister of Delhi was addressing a rally in Punjab and indirectly he said truth of Aam Aadmi Party. Manish Sisodia said that people of Punjab should vote in name of Arvind kejriwal. 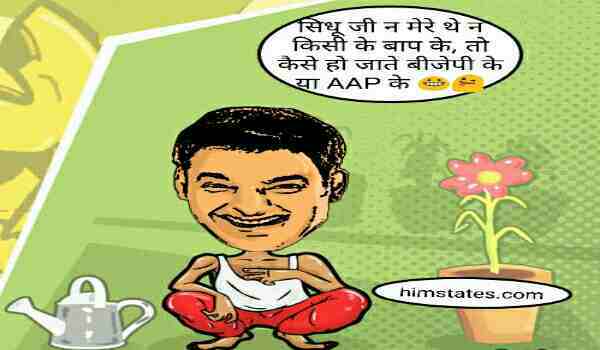 Indirectly he said that Arvind kejriwal will be Chief ministerial Candidate of Aam Aadmi Party in Punjab. He said consider that Arvind kejriwal will be CM of punjab. Manish Sisodia said in public rally that every promise with public will be completed under leadership of Arvind Kejriwal. He said Arvind kejriwal will complete every promise related to students , people of Punjab and he also added that Leader of Punjab Majithia will be sent behind bars if party will win in Punjab. He said Arvind kejriwal will fulfil his promise about drugs ban in Punjab. To cover his statement he said that whoever will be Chief minister of Aam Aadmi Party in Punjab, Arvind kejriwal will make sure to complete all promises. - Aam Aadmi Party have just break trust of people in Delhi. - Chotepur of Aam Aadmi Party was sent out of Punjab just because of AAP party. BJP : BJP leader Minakshi Lekhi said Whatever Arvind kejriwal and Aam Aadmi Party did in Punjab , same they are trying to do in Punjab. Congress party : Congress party said that Aam Aadmi Party have broken all promises in Delhi and now they are trying to fool people of Punjab. This is just starting some more political reactions will come soon. Former leader of Aam Aadmi Party Succha Singh said Arvind kejriwal is trying to make fool of Punjab. He only know to make fool of people. In Punjab both opinion polls are very different , India Today - Axis is predicting BJP and SAD as biggest party whereas ABP News - Lokniti- CDS is predicting fight between AAP and Congress party in Punjab election. According to ABP News - Lokniti- CDS SAD and BJP will be on third position in upcoming punjab election. But interesting thing is that in both opinion polls , Captain Amrinder singh is first choice for Chief minister of Punjab. Why Arvind kejriwal want to lead government in Punjab? The reason why Arvind Kejriwal want to go punjab leaving Delhi in mid - way is simple because he is looking at 2019 Loksabha Elections. His wish is to become prime minister of India. 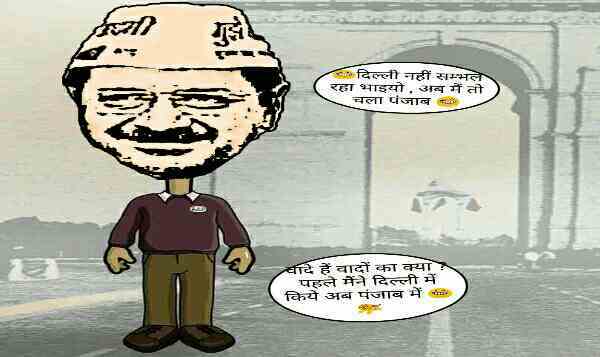 In Delhi because of Union territory he is not able to take all decisions. That is why he want to go in state where he can take all decisions, police ,all officers are under him. So it will be really interesting to see that what turns this political idea of Aam Aadmi Party takes but it will not be easy for them as Captain Amrinder singh is first choice of CM face in all surveys and opinion polls. Whereas Sardar Prakash Singh Badal is leading state continuously for two terms and he will try to make hat-trick in Punjab. If Aam Aadmi Party wins in Punjab and Arvind kejriwal becomes chief minister of punjab it will show how political parties breaks promises with People. Election commission announces dates for upcoming five states election. These states are Uttar Pradesh , Punjab , Goa, Manipur and Uttrakhand. Political parties are ready to fight in these states, where some regional parties as well national parties will show there power. Opinion polls are also coming after declaration of Election dates. Two opinion polls India Today - Axis and ABP News - Lokniti- CDS predicted big win for Bhartiya Janta Party in big states like Uttar Pradesh and Punjab. According to these polls BJP is going to make their government in UP , Goa and Uttrakhand whereas in Punjab SAD and BJP alliance will retain their power in state. Elction polls are suggesting bjp as biggest party but time will tell who will celebrate diwali on 11th January 2017 on Holi. According to opinion polls by India Today - Axis report , BJP will clear majority mark easily with 206 - 213 seats in UP out of 403 seats. Whereas ABP News - Lokniti- CDS is predicting a close fight between Samajwadi Party and bhartiya Janta Party. Both opinion polls are predicting BSP of Mayawati on third place in List. Indian national congress is on bottom of list in both opinions polls. Uttrakhand is state where BJP last year also left out of power with just one or two seats , so BJP will want to get most of seats this time as Former chief minister of Uttrakhand , Vijay Bahuguna is also with Bhartiya Janta Party and track record of current chief minister of UK , Harish Rawat is not so good. So it would be interesting to see how things goes in future but opinion polls are suggesting BJP government in this hilly state. According to India Today - Axis BJP will come to power with 35 - 43 seats out of total 70 seats. 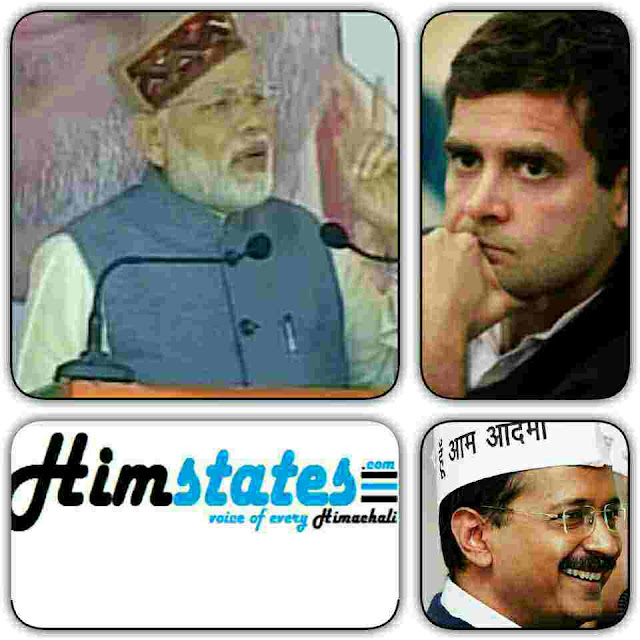 In upcoming five states election there are some popular national as well as regional parties. In UP and Punjab all political parties will be more focused as number of seats are more and parties like congress bjp , congress and AAP will be looking these election in prospective of 2019 Lok Sabha electios. - Shiromani Akali dal etc. Akhilesh and Mulayam singh yadav are still fighting for party and symbol. This looks that there is no hope of compromise in party and according to sources , Akhilesh Yadav Samajwadi group is ready to fight with other party symbol also. Elections are always unpredictable and that had been seen in past during election of 2014 Loksabha, Maharashtra, Haryana, Bihar as well as Chattisgarh. but this is sure that these elections going to be very interesting. Akhilesh yadav chief minister of Uttar-Pradesh becomes national president of Samjwadi party. Shivpal yadav is expanded as State president of Samajwadi party. Amar singh ,is also out of Samajwadi party now. 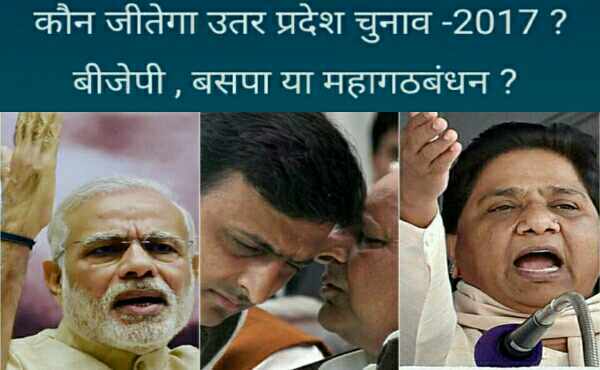 These all decisions were taken today in 'Rashtriya Adhiveshan' of Samajwadi party. 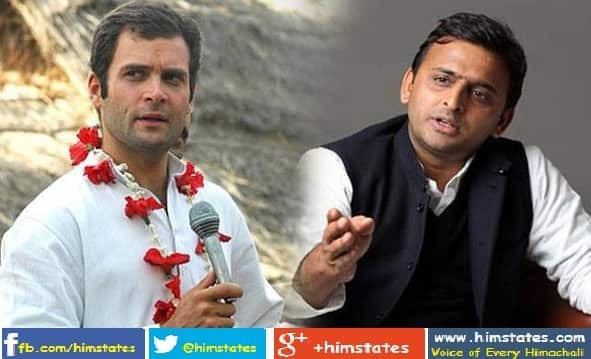 UP politics took an interesting turn when yesterday SP supremo and state Samjwadi party president suspended Chief minister Akhilesh Yadav and national secretary Ramgopal Yadav from party for 6 years. But within 24 hours Akhilesh and Ramgopal are in SP again. This looks so simple like exit and entry but there is some interesting scenario in whole issue given below. With this disturbance in Samjwadi party , opposition parties like Congress, BJP and Bahujan Samjwadi party will be glad, as they will try to capture this internal war of SP. State president Shivpal Yadav, is considered to be reason behind exit of Akhilesh yadav and Ramgopal. Shivpal is uncle of Akhilesh yadav but there differences are open Every time. Akhilesh was angry from the day when Shivpal was elected as State SP president in place of Akhilesh yadav. Other issue which made serious collision in party was when Akhilesh supported leaders didn't get ticket in released list. 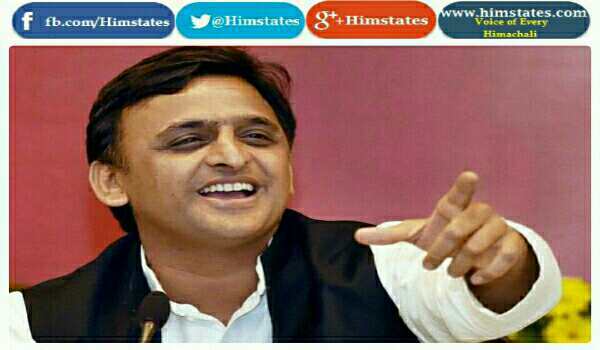 Akhilesh released his own list of 225 candidates , after which Akhilesh and Ramgopal yadav were suspended from party for 6 years. Shivpal yadav and SP supremo Mulayam singh yadav had press conference in evening as Party national president and state president were angry with new list of Akhilesh yadav and National meeting of party by Ramgopal yadav . So in evening they suspended Ramgopal and Akhilesh yadav from party for next 6 years. There were two meetings of Samjwadi party today after exit of CM Akhilesh and National secretary Ramgopal yadav, one of Akhilesh yadav and other of Samjwadi party. But around 200 MLA's were in support of Akhilesh yadav and rejects leadership of Shivpal yadav and Mulayam singh yadav. There were only chants of 'Akhilesh Zindabad' in Lucknow. Aazam Khan leader of Samjwadi party and minister of Akhilesh government today did a splendid job to save Samajwadi party. He managed a meeting of Akhilesh , Shivpal and Mulayam singh yadav. After meeting it was decided that Party will not split , and will face upcoming UP elections in 2017 with full unity. - "Everything is good inside party now". - "On Netaji's decision Akhilesh and Ramgopal are in party now". - " Party will work strongly in state to come in government again and to stop communal forces". - "We will discuss seats and decide it after meeting". - "This is internal matter of Samajwadi party". - " Mulayam singh yadav is doing this to benefit BJP". 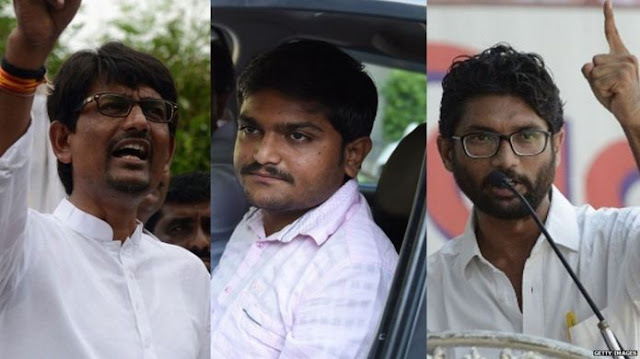 - "Amit shah and BJP is behind this war in Samjwadi party". - "Mulayam is doing this all drama to gain sympathy". - " SP knows that they going to defeat in upcoming election, so doing all this drama". Lalu Prasad Yadav called Akhilesh yadav and Mulayam singh yadav both and asked to solve issues within party. - " Now everything is good in party , I am happy as I am relative of Mulayam singh yadav". - "Samajwadi party should fight election with coagulation with Congress party to stop communal parties in state". - "I dont believe in break policy, I believe in unity". - " Netaji showed mature politics". Congress vice-president Rahul Gandhi was targeting Prime minister Narendra modi from last some weeks. In every rally from Gujrat to Uttrakhand and Himachal rally Rahul Gandhi have continuously targeting about bribery issue by quoting 'Sahara Diary' . Rahul Gandhi have attacked BJP and PM Narendra modi by saying that in 'Sahara Diaries' there is name of PM (as a CM of Gujrat) and he have been given bribery of rupees 40 crore. But Rahul forget that there is name of his party senior leader , former chief minister of Delhi and CM candidate of congress in Uttar-Pradesh. Remember there are some names of other chief ministers like Raman singh and ShivRaj Singh Chauhan ,Jayanti Natrajan etc. But after Sheila Dikshit's statement on documents of Sahara Diaries , congress party is on backfoot. 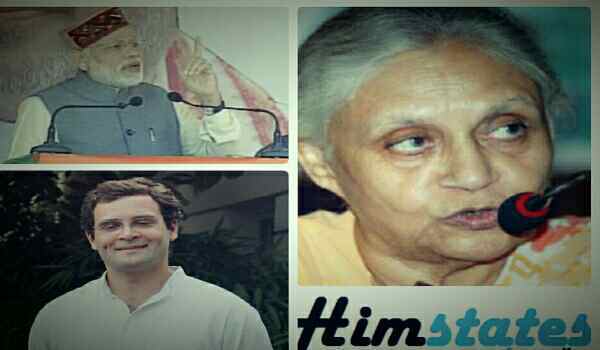 Congress put Sheila Dikshit on line to save image of Rahul Gandhi. Because congress was alleging prime minister Modi on basis of Sahara documents , without knowing that there is name of there leaders also in that list. Sheila Dikshit , Jayanti Natrajan and some other congress leaders name is on Sahara Diaries document. According to document PM modi had taken bribe of ₹40 crore. After continuous allegation on PM modi by Rahul Gandhi, when UP chief ministerial candidate Sheila Dikshit was asked about documents of Sahara and bribe given to chief minister of Delhi (Sheila Dikshit) . She totally denied that document and questioned authentication of the document . She said supreme Court have already denied these documents , and made their observation. Sheila Dikshit said out of party line that there are many chief ministers name ,like ShivRaj Singh Chauhan, Raman singh, Jayanti Na etc than why you are focussing on Sheila Dikshit only. She said issue is sub-judicious, so she don't want to comment on it. She said on Twitter about this issue that "It surprised me" , and I have nothing to do with this issue and dont want to comment on this issue. This issue of bribe from Sahara to chief ministers of state and some ministers is matter of sub-judicious. Supreme Court did not authenticate the documents . Supreme Court judge and new CJI Jagdeesh singh khehar said these documents are not enough to questions big personalities. Still Rahul Gandhi raises this issue to allege Prime minister Narendra Modi and now they are trapped in there own trap. Sheila Dikshit took U-turn after Daniel of documents of Sahara. She said there are allegations on Prime minister Modi , he should come out clean . She tried to save image of Rahul Gandhi as he was speaking about these papers in every rally. Sheila Dikshit tried to cover up the issue but she forget there is clearly written 'Delhi Cm' in that document. BJP got chance after Sheila Dikshit's denied documents and questioned authenticity of papers. BJP spokesperson and secretary Siddharth Nath singh said that congress yuvraj and party leaders are making stupid mistakes again and again. He singh Rahul Gandhi is no more child, and should gain some wisdom. Congress spokesperson said they want inquiry on this issue , and said Sheila Dikshit does not said anything out of party line . Congress party want inquiry on this issue. Janta Dal United (JDU) spokesperson KC Tyagi said on this issue that he want that papers should made available to public and named person should be questioned. He said there are names of many leaders like Raman singh etc. So we want that these lists should made public. Rashtriya Janta Dal leader Manoj Kumar shares different opinion and said there should be immediate decision by supreme Court judge. As we don't want to lose credibility of position of Prime minister. Majid Manon Leader of NCP said it's not about any party, Congress or BJP, CM of PM. If anyone did crime and found guilty they should be punished. JDU, NCP chief Sharad pawar, RJD supremo Lalu Prasad Yadav said that all names in list should be investigated. Chief justice of India TS Thakur is retiring on 4th of January 2017. Justice Jagdeesh singh Khehar is set to appointed as 44th chief justice of India. 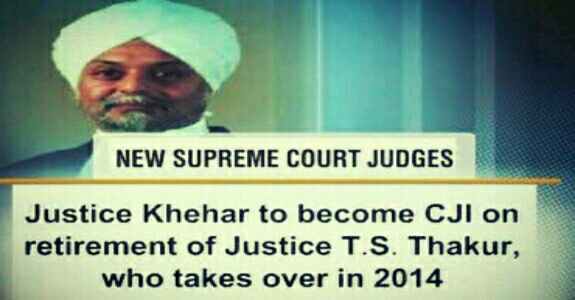 Current CJI TS Thakur recommended name of Justice Khehar to centre for next Chief justice of India. Under the existence practice ,the incumbent Chief justice recommends name of the successor . He will be sworn in as CJI by President Pranab Mukherjee on January 4th , 2017. He would head the Indian judiciary for the little less than 8 months before retiring on august 27 . Jagdish Singh Khehar born on 28th august,1952. He is LLB and LLM from Punjab university with gold medal. He came to news after restoring decision of Nabam Tuki government in Arunachal Pradesh. Jagdeesh singh Khehar graduated in science from government college Chandigarh in yearb1974. He got his LLB degree from Punjab university in 1977, and LLM in 1979 with gold medal in 1979. Justice Khehar was appointed as a judge of Punjab and Haryana high court in 1999, worked as Acting chief justice for twice. Later he worked as chief justice of Uttrakhand High court on 29th Nov 2009 and chief justice of Karnataka High court in 2010. Justice JS Khehar revived the colegium system of appointing higher judiciary judges. Restored congress government headed by Nabam Tuki in Arunachal Pradesh. He was also part of impeachment precedings of apex court justice v. Ramaswami and karnataka HC chief justice PD Dinakaran. Navjot singh sidhu will go in which party this was biggest question from some time in Punjab Politics. But update of Punjab elections 2017 is that Navjot singh sidhu and his wife will be in congress now. Navjot singh sidhu former Indian cricketer , commentator and judge of reality show 'The kapil sharma show's has decided to reject Bjp as well as Aam Aadmi Party. Official announcement is yet to come but according to sources Navjot singh sidhu and his wife have joined congress just official announcement yet to come. About Navjot singh sindhu ? Navjot singh sidhu a great Indian opener batsman used to known for his big sixes in one day international matches. Navjot singh sidhu after his retirement from international cricket joined cricket commentary , but was banned later for his comment on a cricketer. He was also jailed once. On ticket of Bhartiya janta party Navjot singh sidhu was elected Member of Parliament from Amritsar seat. He became Loksabha member two times from Amritsar seat. But in year 2014 he was rejected as bjp candidate from Amritsar seat and Arun Jaitely fight against Amrinder singh and was defeated by a big margin. His wife is also politician and member of legislative assembly. Why Congress, not Aam aadmi party? Sidhu just before Punjab elections resigned from Rajya Sabha membership and news were coming that sidhu and his wife are joining Aam aadmi party , but according to AAP party only one person from family can join party and from internal sources it is said that Aam aadmi party rejected CM candidate proposal of Navjot singh sidhu. Now question arises why Congress , that party which he always opposes? Answer is quite simple , he have got some benefits from congress party as Deputy CM post for sidhu's wife and after resign of Amended singh from Amritsar seat ,Navjot singh sidhu will be nominated as Congress candidate. Navjot singh sidhu took this decision after meeting with Rahul Gandhi and Punjab congress president Amrinder singh. Why sindhu left Bhartiya Janta party? Sidhu was wanting to fight bjp alone in Punjab elections ,but bjp didn't accept his proposal. He never liked Badal government and it is said that Badal government didn't allowed to give Amritsar seat to Navjot singh sidhu. So main reason of his exit from BJP was Shiromani Akali dal. Why Congress accepting former BJP Member of Parliament? Congress need a strong leader in Punjab and sidhu is a leader with strong speech quality and most important he is known to all facts and strategies inside bjp and Akali dal. So it can be a big moral booster for Congress party. This can be said a good move for Navjot singh sidhu as all election polls are telling congress as a leading party. It will not be strange now if Congress party won in Punjab and Navjot singh sidhu from Amritsar Loksabha seat. After bains brothers joined Aam aadmi party and Navjot singh sidhu in congress , pargat singh another member of aawaz-e-punjab is looking for party. He told to media that he will take next step after meeting with Navjot singh sidhu. So its quite clear Aawaz-e-punjab will not speak more on Punjab elections as there leaders are now in AAP party and congress party. India and Pakistan tension on line of control(LoC) in Jammu and Kashmir is not new thing. It's time to boycott all companies like 'lays, pepsi, lenovo, xiaomi, zte, huewai, ' etc which are either Pakistan sponsoring companies or Chinese company. India have tried to make good relations with neighbour countries , Pakistan ,china , Bhutan, Nepal , Bangladesh and all. But Pakistan have given terrorism and killed innocent people, and China have supported them always. But this is time to give it back to China. What can government do against Pakistan? Indian government have not taken even a strong step against Pakistan . Pakistan is killing innocent civilians everyday. Indian government should take some serious steps to put Pakistan on back foot. Some of steps against Pakistan that Indian Modi government can take are. - no sports , entertainment and no business with Pakistan. Most important thing that Modi government need to do is cancellation of status of 'most favoured nation' that had been given to Pakistan in which some special benefits are given to favoured nation. Remember Pakistan haven't given status of 'most favoured nation to India. What indians/people of India can do? Indian people have boycott Chinese products in diwali ,which have effected Chinese business a lot. 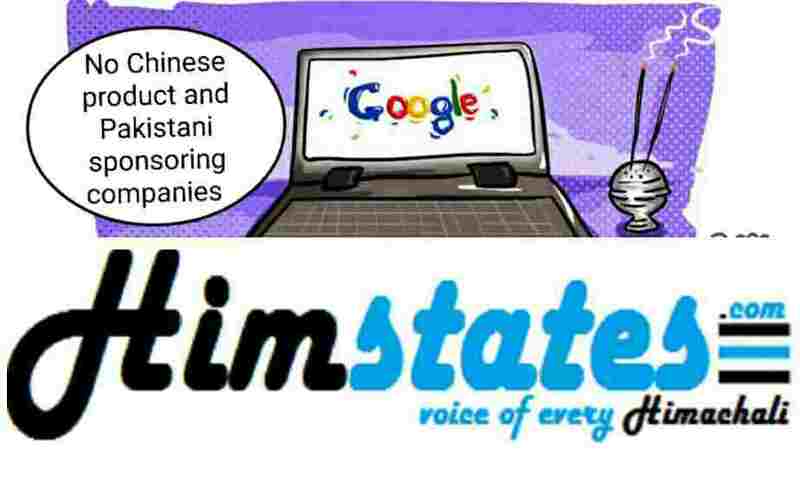 So this time is to boycott Chinese company products, and Pakistan sponsoring companies . Some companies which have a stromg business in India and they are giving sponsorship to Pakistani teams. Pakistani cricket team have got sponsorship of Pepsi and lays as well as Chinese company Haier. China is best partner nowadays of Pakistan ,reason behind is very simple. China is trying to get benefit of Pakistan land. China is working on a business corridor in Pakistan occupied Kashmir and Baluchistan. War is never a solution and war against country who have lost in 1948, 1965,1971 and 1999. Pakistan can never understand ,so it's every indians duty to make them economically low. Chinese business depends a lot on India. So boycott of Chinese company can effect them, and there economy. 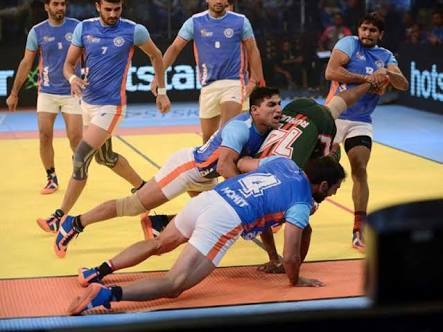 Indian kabaddi team will be on action today again after historical win over Argentina. After lose against Republic of Korea, Indian team is in there best form and they are playing to win world cup. India have to win this match , in case India loose this match against England team with big margin ,India will be out of world cup. Ajay Thakur , Manjeet Chillar and Rahul chodhary will be men in action. After loose against Republic of Korea team with two points , India have clinched successive win over Bangladesh, Australia and Argentina team. Today India will fight against England team which doesn't look good on papers but India have to save themselves from upset. Everyone in India is waiting for two best friends frog jump inventor Ajay Thakur and Poster boy of Kabaddi Rahul chodhary will be in action against England team. Ajay Thakur showed in last two games why he is best raider in team and Rahul chodhary also showed his class in last match against Argentina team. These two friends popularity can be seen when they enter raiding whole ground is chanting Ajay Ajay Ajay and Rahul rahul rahul . Everybody in Himachal watch kabaddi for there superstar Ajay Thakur. He is proud of Himachal pradesh state. This world cup Ajay was not even in first seven , but after loose against Republic of Korea ,Indian captain and staff understand ,it's only one man who can make Indian team's way to success and that's Son of Himachal Ajay Thakur. Indian team is full of star players but Ajay Thakur, Rahul chodhary, Anup Kumar, Manjeet Chillar and sandeep Narval. Manjeet Chillar is top defender of India and in top three list in top defender list. He had two super five , so Indian team is hoping same from him. Whereas in last match Rahul chodhary scored 11 points, and showed that he is in form now. England match is important for Indian team, in case India loose to England with high margin India will be out of world cup and Bangladesh will enter to semifinal, but this doesn't looks possible condition. So Indian team have to win this match.